Satire has been with us since at least the Greeks and is a staple of the literary classroom. Dustin Griffin now moves away from the prevailing moral-didactic approach established thirty years ago to a more open view and reintegrates the Menippean tradition with the tradition of formal verse satire. Exploring texts from Aristophanes to the moderns, with special emphasis on the eighteenth century, Griffin uses a dozen major figures - Horace, Juvenal, Persius, Lucian, More, Rabelais, Donne, Dryden, Pope, Swift, Blake, and Byron - as primary examples. 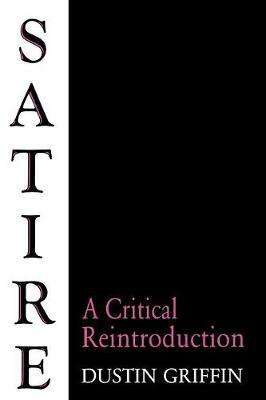 Because satire often operates as a mode or procedure rather than as a genre, Griffin offers not a comprehensive theory but a set of critical perspectives. Some of his topics are traditional in satire criticism: the role of the satirist as moralist; the nature of satiric rhetoric; and the impact of satire on the political order. Others are new: the problems of satire and closure; the pleasure it affords readers and writers; and the socioeconomic status of the satirist. Griffin concludes that satire is problematic, open-ended, essayistic, and ambiguous in its relationship to history, uncertain in its political effect, resistant to formal closure, more inclined to ask questions than to provide answers, and ambivalent about the pleasures it offers. Here is the ideal introduction to satire for the student and, for the experienced scholar, an occasion to reconsider the uses, problems, and pleasures of satire in light of contemporary theory.